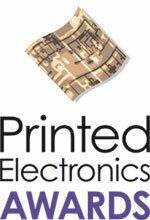 "We are truly honored to win the 2009 Printed Electronics Award for Manufacturing. There is no better validation for your efforts than recognition by your industry and peers"
IDTechEx Printed Electronics Awards recognize company innovation, success and development. The award ceremony will be held at the industry's largest gathering - Printed Electronics/Photovoltaics Europe in Dusseldorf, April 5, bringing together companies from around the world. The Awards are hosted by IDTechEx, a leader in providing independent global research and analysis on the development and application of printed and potentially printed electronics (organic, inorganic, composite) and photovoltaics. If you would like your organization to be recognized for outstanding achievements in the following categories simply follow the entry instructions. Any organization operating with the photovoltaics, printed or partially printed, organic or thin film electronics market is welcome to apply. This award will be given to the most significant technical development over the last 24 months (March 2009- March 2011) in the field of material development. This award will be given to the most significant development of a manufacturing device, process or production plant in the industry over the last 24 months (March 2009- March 2011). This award will be given to a company who has launched a new product based on printed electronics and thin film photovoltaics and is in the process of bringing it to market. The category will be assessed on the technical development of the product, its potential market, and benefits it brings over alternatives. This is the award given to an actual commercial success with an end product using printed electronics and thin film photovoltaics. Judges will look for success in terms of products sold and revenues generated. 6. Best in Show Award! IDTechEx are delighted to announce a new award, voted for by attendees, for what they think is the most impressive company exhibiting at the Printed Electronics Europe tradeshow. This will be judged by attendees at the event and the award presented at the gala awards dinner. The judges may ask for further details of submissions. Submissions should not contain confidential data. Companies that apply will not be named. To apply please download the submission form. SAVE & EMAIL the completed form to Chris Clare at c.clare@idtechex.com. The winners will be announced at the Printed Electronics/Photovoltaics Gala Awards Dinner in Düsseldorf on Tuesday 5 April as part of the Printed Electronics/Photovoltaics Europe 2011 event. "It was an honor to be recognized by IDTechEx as an award recipient in the field of Printed Electronics. They are the established thought leader in this emerging market, and their award served to herald the introduction of Optomec's printing solution as a competitive and enabling production technology for printed electronics." "IDTechEx has been a great information source and rallying point that has followed the growth of the printed electronics field closely. Add-Vision is proud to have its technology progress towards bringing printed organic electronics to enabling products recognized by IDTechEx. We also continue to benefit from the cross cut of suppliers, investors, technology providers and product developers we interact with at IDTechEx events." "Being chosen as the Technical Development Materials Award Winner was an honor for all of us at Plextronics. Our mission is to create, develop and bring to market the products and technology that define the printed electronics industry, and to be recognized for those efforts by IDTechEx was one of the highlights of 2008."